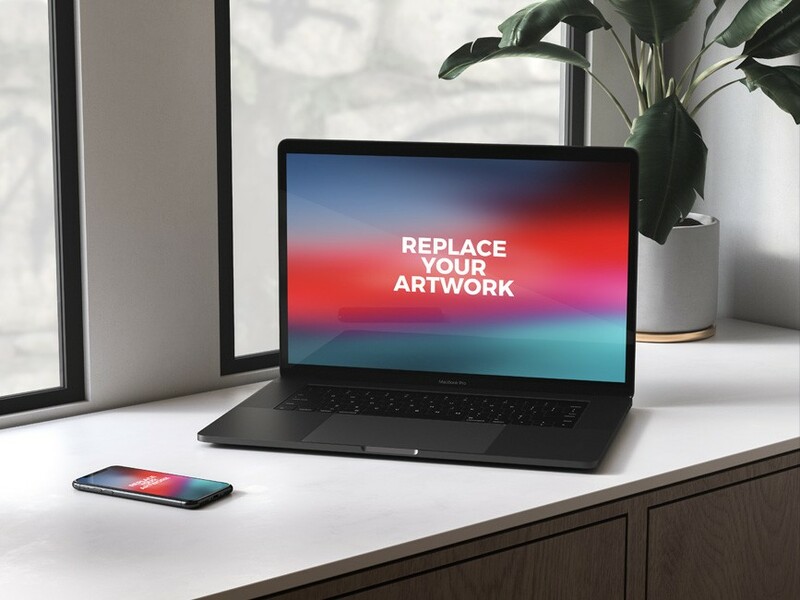 Download Free iPhone X with Macbook Pro Mockup. You can use this iPhone X with Macbook Pro Mockup to showcase your both mobile app, ui design and web ui design projects with your clients. PSD file come with a smart object so that you can add artwork quickly and easily. Nice work done by Anthony Boyd Graphics.